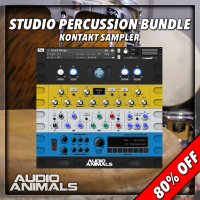 “Studio Percussion Bundle” – 21 Highly Versatile And Realistic Percussion Instruments In One Epic Bundle! 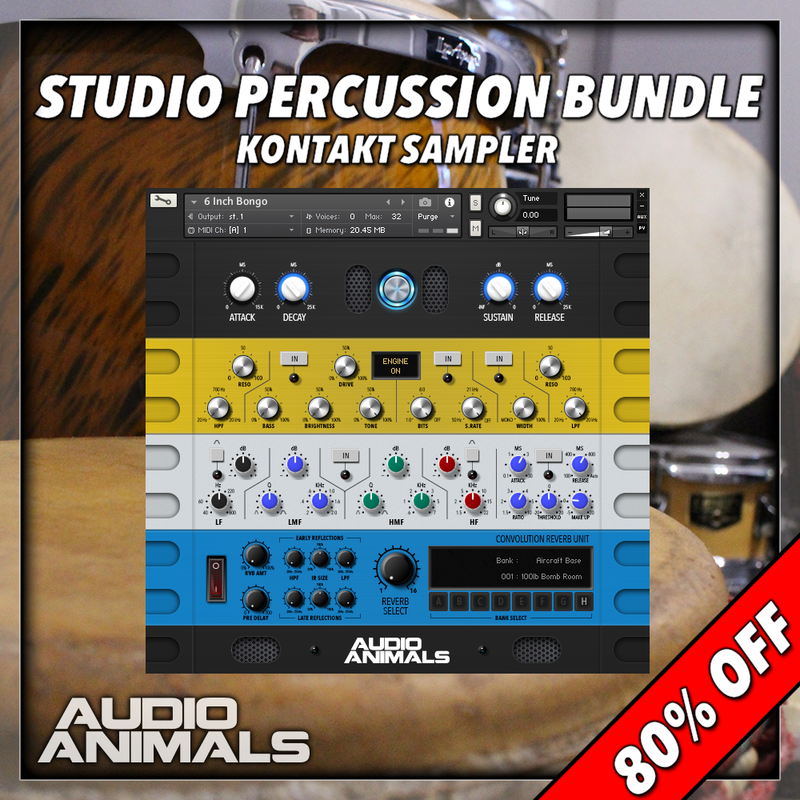 This is a highly detailed and intuitive collection of 8064 single hits built into 21 unique percussion instruments that are perfect for Cinematic Underscore, Documentaries, Video Games, Ethnic Music and more! 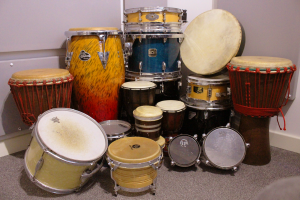 1.28GB of Incredibly Diverse Percussion for Kontakt! 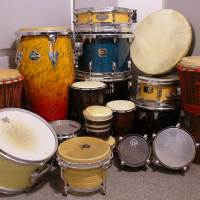 With “Studio Percussion Bundle” you get a total of 8064 percussion hits that have been recorded using 21 different percussive drums of various different sizes. 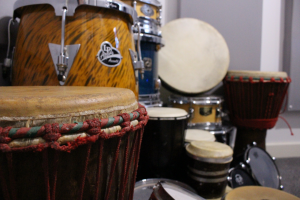 79 MIDI files are also included for instant inspiration! Perfect for Cinematic Underscore, Documentaries, Video Games and more! 21 Unique Instruments Designed to Inspire You! Each instrument has been carefully recorded and mapped to the keyboard for maximum playability, allowing you to create ultra-realistic performances! Octave C5 trigger muted held hits. 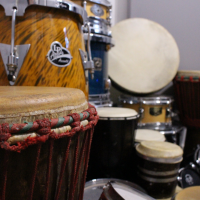 Having such a wide range of hits at your disposal means you are able to create percussion loops that sound realistic and trigger exactly like a percussionist would play the drum naturally with their hands. 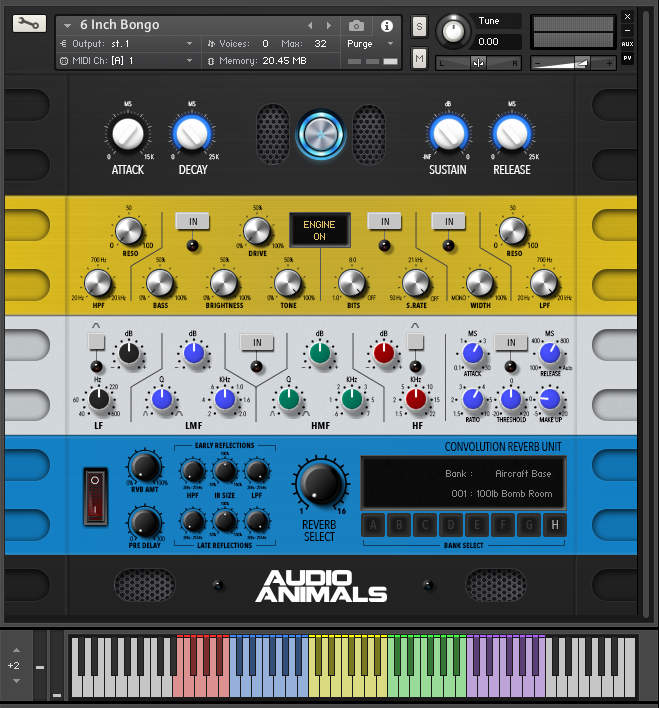 Additionally 8 Keyswitches have been built into the Kontakt sampler and can be used to change the playing style from 1 finger, 2 fingers, 4 fingers, palm, knuckles, wrist, brush, mallet, wood stick, plastic stick and metal stick. Using the keyswitches you can create unique loops that sound as realistic as a real percussionist playing the drum! 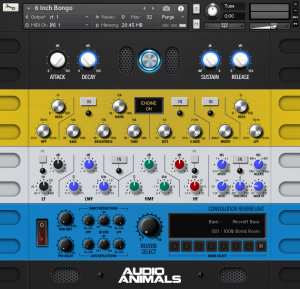 A Multitude of Filters & Effects To Help Shape Your Sound! The distortion unit is very effective when driving percussion to add more depth and high end grit. 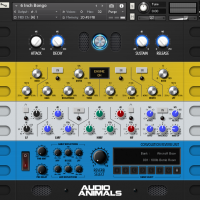 Audio Animals’ Solid State Logic (SSL) inspired Channel Strip is also included in this Kontakt sampler. 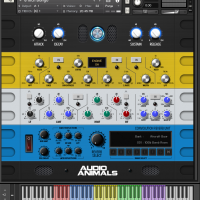 Comprising of 4 bands of EQ this can be used to sculpt and enhance each percussion instrument. The included Stereo Bus Compressor acts as the glue. Gluing the percussion loop together and controlling peaks. A Convolution Reverb has also been built into the Kontakt sampler and includes 128 unique impulse responses. 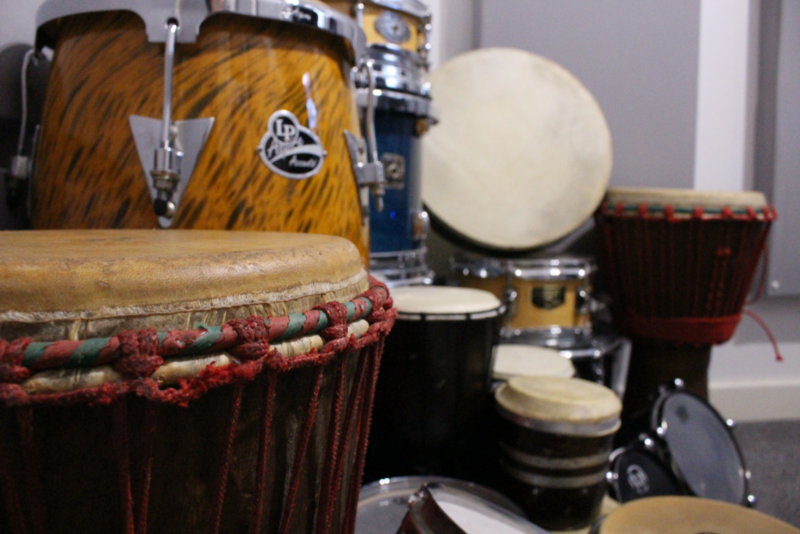 All of the impulse responses can be tailored to your exact needs by adjusting the IR size and Reflection Frequency. 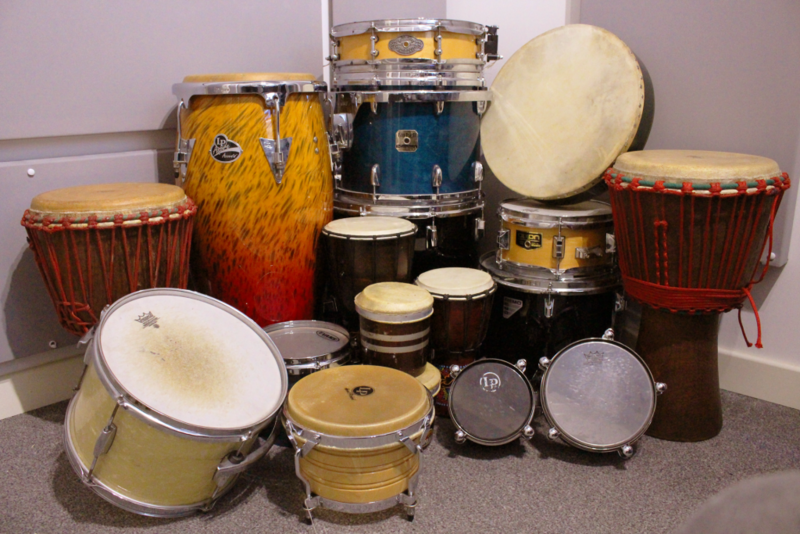 So What Exactly Can I Do With “Studio Percussion Bundle”? Normally €154.99 – get it at 80% off before it’s gone! 80% off the normal price (normally €154.99)!